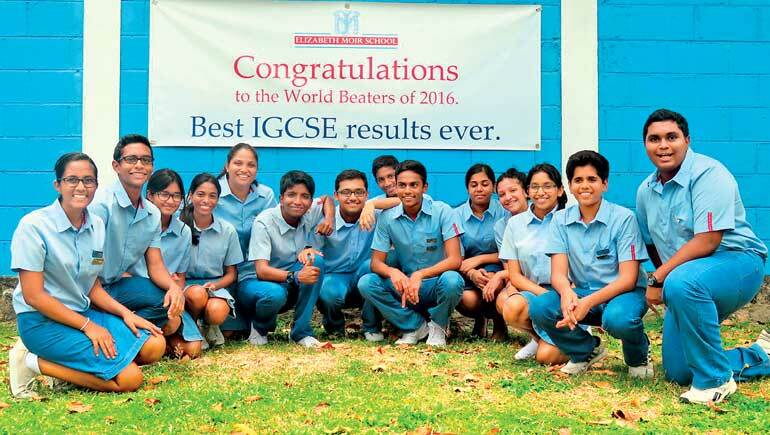 Students from Elizabeth Moir School, Sri Lanka, have achieved the best IGCSE results of any international school in the world this year, The overall UK Independent Scho o l s ave r a g e fo r A* grades is 32.9%, and Moir students almost doubled that average this year with 63% A* grades. The school, which celebrates its 20th anniversary this year, achieved the best International School IGCSE Results for 2016 ahead of for mer rivals Dhirubhai Ambani International school in Mumbai and Ha r row I n t e r nat i o n a l S ch o o l i n Hong Kong. This year, 29 out of their 41 IGCSE students obtained 7 or more A* and A grades, and at least 17 of them will win Edexcel awards later this year. This comes the year after Moir students achieved the best ever A Level results by an international school in the world, with 38% of papers graded A*. ‘This shows that any student is capabl e o f shining’, she says, ‘in the right environment, with small class sizes and with teachers who do everything they can to help them both in and out of class.’ Moirwe l l w i s h e r, Lady Doris Butterwor t h , w i f e o f t h e l a t e L o rd Ja ck But terworth, Founder and f i r s t Vice Chancellor of Warwick University, comment e d on the re sul t s observing that MrsMoir and her staff “clearly inculcate a “love of learning” which is the first step to academic (and other) success”. Such grades allow students to apply to top universities. The school then helps such students to add to their profiles through work experience and extra-curricular ac t ivi t i e s, and Mr sMoi r and her teachers provide detailed endorsements for each applicant. Over the past two years, Moir students have won places at 9 universities ranked in the Top 10 in the world in the various rankings: Oxford, Cambridge, Imperial College and UCL in the UK; and Ha r va r d , S t a n f o r d , Pr incet on, Berkeley and Chicago in the USA. Even though Harvard nor mally only accepts one student from Sri Lanka each year, 6 Moir students have gone there in the past 9 years, all on scholarship.